Mardi Gras is an experience that you do not want to miss! During this tour, learn about New Orleans Mardi Gras traditions. This tour includes everything from history, ghosts, vampires, & voodoo, all while carnival is taking place all along the tour route. This is not scripted, this is a once in a lifetime experience.....during Carnival & Mardi Gras anything goes!! Guests are allowed to stop at bars and grab to go drinks along the tour route! Enjoy this 2-hour walking tour of New Orleans’ French Quarter during the most famous time of year, Mardi Gras! Visit more than 15 locations to see historic architecture and hear stories of hauntings, traditional burial rituals, the mysteries of voodoo, vampires, and ghosts. 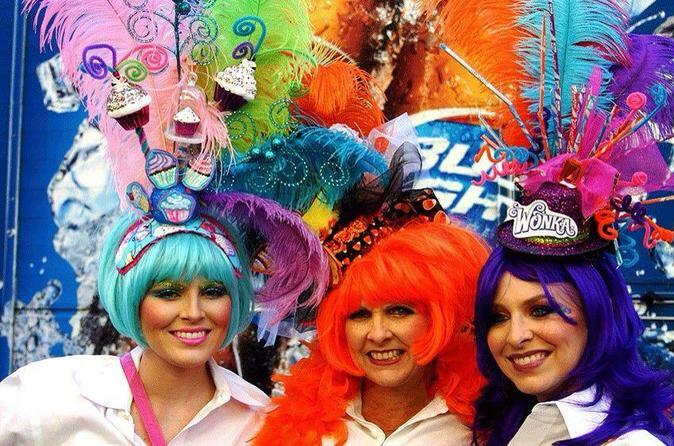 Learn about the traditions that still take place in New Orleans for the carnival season! This tour will visit the location where the kick off to Mardi Gras takes place! Starting in the heart of the world-famous French Quarter, this tour will begin exploring Louisiana's complex culture along with its unique architecture. Encounter beautiful buildings and see where Hollywood stars have set up their homes. Learn what pirates, prostitutes, and convicted felons have in common with the founding of New Orleans and hear why locals walk down to Jackson Square when it rains! Listen to stories about documented sightings of vampires and ghosts. Discover how the traditional burial practices of New Orleans differ from elsewhere, and why the above ground cemeteries recycle their vaults again and again. During this tour, your guide will use an EMF Meter and a Ghost/Paranormal Detector for those who would like to know if there is any paranormal activity taking place around them. Visit location sites from famous movies, stopping at some of the National Historic Landmarks along the way. In total, see over 15 different attractions, such as St. Louis Cathedral, the reconstruction monuments of the Cabildo and Presbytere, the Old Ursuline Convent, and much more.